Need your blinds to look like new again? We offer a proven, unique method to rid your blinds of dirt, dust, grease and hidden allergens. Our self-contained mobile system cleans most types of residential and commercial blinds right outside your home, apartment or office. Get Those Blinds Cleaned Today! Have You Checked Out Hunter Douglas Lately? As a Hunter Douglas Priority Dealer, we offer a signature collection for those who seek the best in American design and craftsmanship. Our team is ready to serve you. Call 734-971-0311 or Toll Free 1-855-261-ARIA (2742) for your free in home/office consultation. Visit the Hunter Douglas website for the latest window treatment styles and options. How do you charge for your blind cleaning services? Cleaning estimates are made on a per blind basis that is determined by the specific type of blind that needs cleaning. Oversized (over 8′ x 8′) and some custom blinds generally require special estimates. We accept Visa, MasterCard, personal check, or cash. How do your services work, do I drop my blinds off? Aria On-Site will always come to you! All blind cleaning is completed right outside your location in one of our specially designed vehicles. Many repairs (restringing for example) can be completed on-site as well. If your blinds need to be returned to the manufacturer for repair, we’ll take care of all the details for you. The process is systematic and doesn’t require us to bring strong chemicals or bulky equipment into your home. Our fully-trained technicians come to your location, carefully take down your blinds and number them, so that they can all be returned to the correct window. Your blinds are then taken out to our specially designed truck where they are blown out, immersion cleaned in our special cleaning solution, rinsed, blown dry, and then re-hung for you. We guarantee all of our cleaning work. 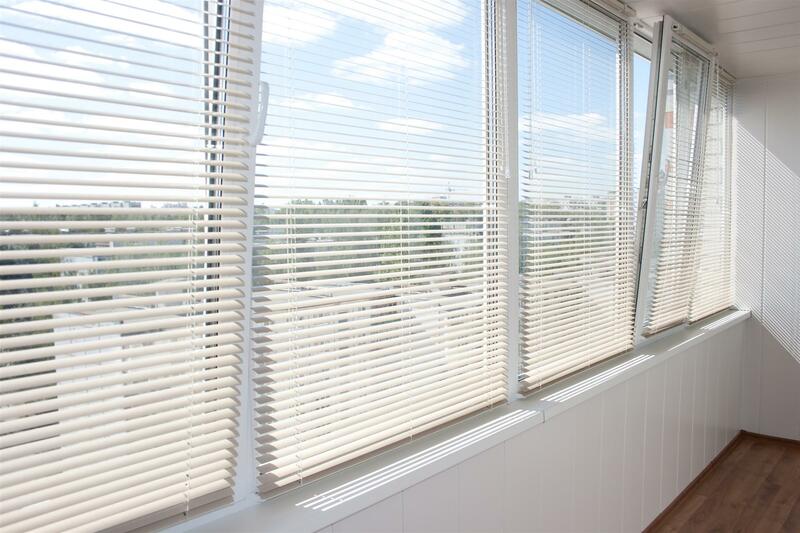 We conduct a full inspection of your blinds with you and advise you beforehand if we notice any issues that may affect the results of any work we undertake. Some blinds, especially those manufactured abroad, do not stand up well to modern cleaning methods and our technicians will often advise against having them cleaned. How long does it usually take to have window blinds cleaned? It’s not always possible to give the exact time that it will take, but our experienced office staff will be able to give you their best estimate based on their experience and the information that you are able to provide. What are your service hours and when can I schedule an appointment? We are very conscious of today’s busy schedules and offer appointments from 8:00a.m. to 8:00p.m., Mondays through Fridays. We’ll always do our best to accommodate your needs. Can you guarantee a specific arrival time? We always try to give you a conveniently scheduled appointment. On the day of your appointment, we will do our best to keep to this schedule. Occasionally, a prior appointment may run over or require unanticipated extra detail. If delays or changes in our schedule occur, we will call as soon as possible to let you know that we are running late or, sometimes, even a little early. If this is not convenient for you, then our staff will happily reschedule your appointment. Are there any types of window blinds that you don’t clean? There are some blinds that we cannot clean. They are: window blinds that are encased between glass – often referred to as Pella Blinds, and bamboo or woven wood blinds. Our technicians and office staff are happy to advise you of any potential issues regarding the cleaning of your blinds before any work is undertaken. Yes. Normal wear and tear, pets or kids, constant changes in weather, and even sunlight may cause problems with your blinds over time. We provide cord replacement and re-stringing, replacement clips, tilt mechanisms, and other parts as well. Although Aria On-Site specializes in Hunter Douglas window fashions, we can repair blinds made by other manufacturers depending on the nature of the repair and availability of parts. Do you sell new blinds? Yes, we do. We are a Priority Dealer for Hunter Douglas Window Fashions. As a fully ON-SITE service, we come to you with samples for all types of blinds, answer your questions, and help you select the type of window solutions that will work best for your needs. We then accurately measure your windows, order your blinds, and come back to install them to your satisfaction. How can I tell if my blinds are Hunter Douglas blinds? If you “inherited” your blinds when you purchased your home, it may not always be easy for you to determine whether you have Hunter Douglas blinds or another brand. Sometimes brand names can be found on the bottom of the blind. Typically, our technicians will be able to find this out for you. Please refer to our website page entitled Various Kinds of Window Blinds. You may be able to match a picture and description with your blinds. If my blinds have to be returned to the manufacturer, how long will it take? If we decide that the best solution is to return your blinds to the manufacturer for repairs, it will typically take four to six weeks. We do our best to expedite all returns, but our emphasis is always on making sure that you receive a quality result.